Just in time for Valentine’s Day, social media users have been greeted by the world’s—and perhaps the entire universe’s—“it” couple: Elon Musk and his voluptuous boo, Planet Mars. The SpaceX founder’s affections for the planet isn’t new knowledge. He recently mused about relocating to Mars despite the fact that, “It’s gonna be hard. There’s a good chance of death.” What people hadn’t realized then was that he actually liked-liked that celestial body. 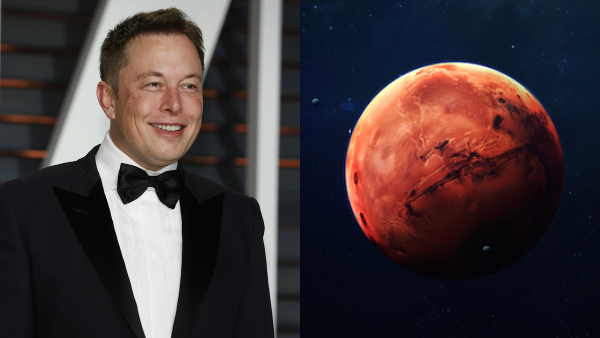 On Twitter, a parody account named ‘Mars’ claimed that it only wanted Musk to move to—and presumably, move in with—the Red Planet. “I want you too baby,” Musk responded, even asking for his new muse to send him some “red hot pics,” to which ‘Mars’ happily obliged. Things skyrocket between them, and their conversation quickly becomes a little too uncomfortable for onlookers. Get a room, you two. Musk and Mars are now Twitter-official, and it will certainly raise more eyebrows than when the co-founder of Tesla got into an unexpected relationship with human ex and indie musician Grimes. View their romantic exchange below. Is this what they call a love that’s out of this world?